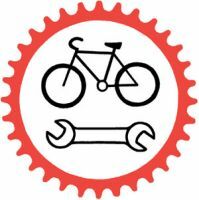 By mid-October, we plan to announce a full schedule of bike maintenance clinics for late-fall and winter, but you don't have to wait until then to get educated about your bike! Don Barnett, Service Manager at Century Cycles Medina, will be teaching Introduction to Bicycle Maintenance at Polaris Career Center in Middleburg Heights on Thursday, September 20, from 6:30 to 9:30 p.m.
Don is an experienced mechanic and teacher, and this class is a great way to learn everyday basics and emergency repair, plus get your bike ready for fall riding or winter storage. Click here for more details and how to register for $19.